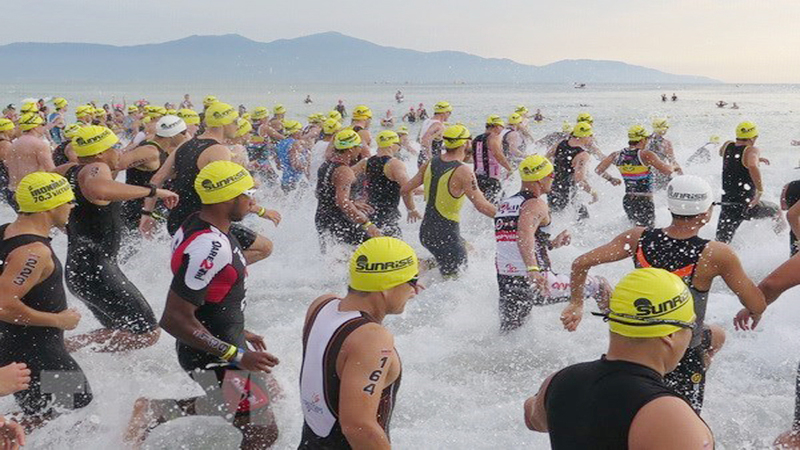 Nearly 2,200 triathletes, including 40 professionals, from 50 countries and territories will be competing in the 5th Techcombank Ironman 70.3 Vietnam – Asia Pacific Championship on May 9 – 12. Da Nang has hosted Ironman races since 2015. Last year, more than 1,600 people from 56 countries and territories, including 600 from Vietnam, raced in the Techcombank Ironman 70.3 Vietnam, which has helped raise more than 50,000 USD to support the charity Newborns Vietnam. The annual Olympic Run Day for Public Health and the 46th Ha Noi Moi Newspaper Run for peace was launched simultaneously at a ceremony in Hanoi on March 24. (BGO) - In the early morning of March 17, even though it was rainy, many people gathered at the February 3 Square in Bac Giang city to attend the 38th traditional Bac Giang Newspaper Run and the Walking Festival 2019 for a dynamic Vietnamese generation. Nearly 2,000 foreign and domestic runners will take part in the 61st National Marathon Tournament organised by Tien Phong (Vanguard) newspaper in Vung Tau city, the southern province of Ba Ria - Vung Tau, on March 24. (BGO) - The opening ceremony and a number of activities of the 38th Bac Giang Newspaper Run and Walking Festival for active Vietnamese generation will take place at the 3-2 square, Bac Giang city in the Sunday morning of 17 March. This event is jointly held by Bac Giang Newspaper, Department of Culture, Sports and Tourism, Department of Education and Training; Ho Chi Minh Communist Youth Union and the People’s Committee of Bac Giang city.